Hans Garuda Chaitanya is a Belgian national who has spent most of his professional career in the corporate world in various countries around the world, of which the last 23 years in the Balkans. In 2007, he discovered yoga as a way to relax and calm the mind. In 2008, he exchanged his busy career to dedicate himself to studying Yoga. 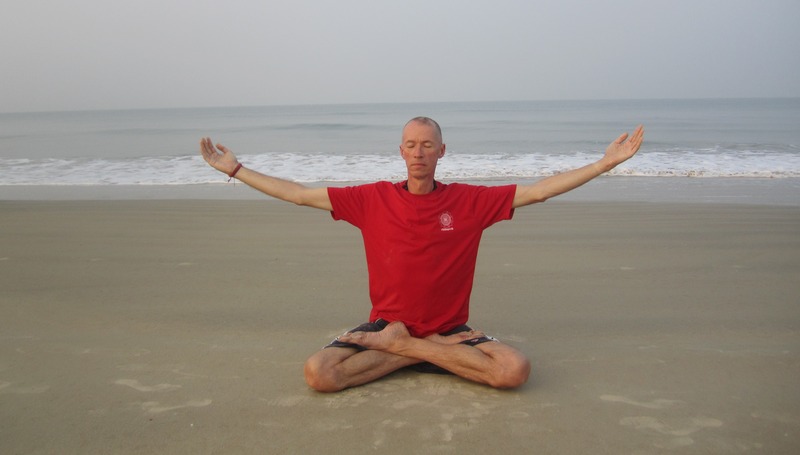 He successfully completed Yogic Studies 1,2,3, and 4 at the Satyananda Yoga Academies in Europe and Australia, as well as various Yoga courses in India. He started teaching Yoga in 2012. His interests are in those aspects of Yoga which help people managing stress, and leading more healthy and joyful lives, reducing suffering, increasing the quality and experience of life, and how to become a better person. His study interests are in the fields of Yoga psychology, the chakras, and Raja Yoga. He has travelled extensively around the world, has spent over 2 years in India, and loves trekking in the higher Himalayas. He teaches in English, but also manages Bulgarian quite well.